Rt. Rev. Dr. Euyakim Mar Coorilos (Rev. Euyakim I Cheeran) was born on 25th November 1951 as the son of Sri Ittimani Ittyachan Kunju and Smt. Saramma of Cheeranveedu of Kunnamkulam Arthat Mar Thoma Parish. He completed school education in CMS LP School and Erumapetty Govt. High School. He completed Predegree from SH College, Thevara and BSc (special) MSc degrees from Christ College, Irinjalakuda. He joined Kottayam Mar Thoma Vaideeka Seminary for theological studies after having submitted himself for the service of the Lord through the Church. He was ordained Semmas on 29th April 1978 and Kasessa on 16th May. He served as Asst Vicar of Kottayam Jerusalem and as Vicar of Jalahalli, Thiruvarpu, Palarivattom, Mumbai, Kolaba and in US Staten Island, Washington, Philadelphia Bethel, Baltimore and Florida Parishes. Rev. Euyakim I Cheeran was consecrated as Ramban on 4th November 1989 and as Euyakim Mar Coorilos Episcopa on 9th December 1989. Life of devotion, simple presentation of the gospel, realization of the ministry of the Church through action projects of modern vision, urge for special justice, committed propagation of gospel, ability to go forward steadfastly and hopefully without getting upset at the face of opposition, care and love for the poor and punctuality are the special qualities of his character. He takes special care to keep up personal relationships. Love and care for children, youths and elders make him endeared to all. Thirumeni gave leadership to establish Ashabhavan at Pathanapuram, Pidavoor for the rehabilitation of handicapped children. Deepthi Balika Bhavan Pallippad was started to provide good education and mental and spiritual development of the children of poor fishermen. Jyothis, Mavelikkara, started to help mentally retarded children is progressing. The newly constructed Youth Centre at Adoor for Yuvajana Sakhyam is the realisation of his vision. As one who is devoted to a life of meditation he gave leadership for the construction of Easo Mar Timotheos Memorial Meditation Centre attached to Adoor Hermon Aramana meant for prayer, meditation and study. Gospel work among Railway porters was started as part of Sapthathy Mission. Gospel work was started at Sathyawadi and Ghatgheswar .In connection with the birthday of Alexander Mar Thoma Kalahandi Mission in Orissa was started. He gave leadership to start Half way Home in Ranni in connection with the birthday of The Metropolitan. Deepam Balika Bhavan for poor Dalit Girls was started at Mekozhoor. It is Thirumeni’s lifestyle to respond strongly against social evils. He was the patron of Pathanathitta District Prohibition Committee which was organized to eradicate drinking as a social evil. He gave laudable leadership to Mar Thoma Yuvajana Sakhyam as President, Sunday School Samajam as President, Chengannur Christian College as Manager and Kattanam Mission Hospital as Chairman. He also led effectively the Dayara Movement, Sanyasini Samooham, Voluntary Evangelists Association, Suvisesha Sevika Sanghom, Kozhencherry St. Thoma College and Cherukole ITC. 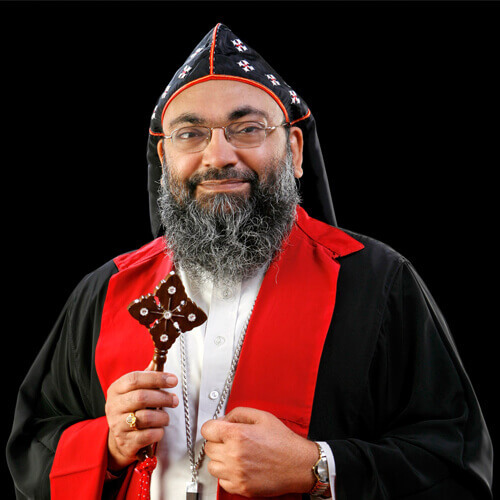 He served Adoor-Mavelikkara, Ranni-Nilackal, North America-Europe and Kottayam – Kochi Dioceses. When he was in-charge of North America- Europe he served as the Executive Committee member of North America NCCA. The life of prayer and style of work of Easow Mar Themotheos Episcopa has influenced Euyakim Thirumeni very much. He is able to draw the people closer to God by imparting Christ Centered Pure Gospel in simple language. He takes special care to lead the youths to a live relation with Jesus and total submission.